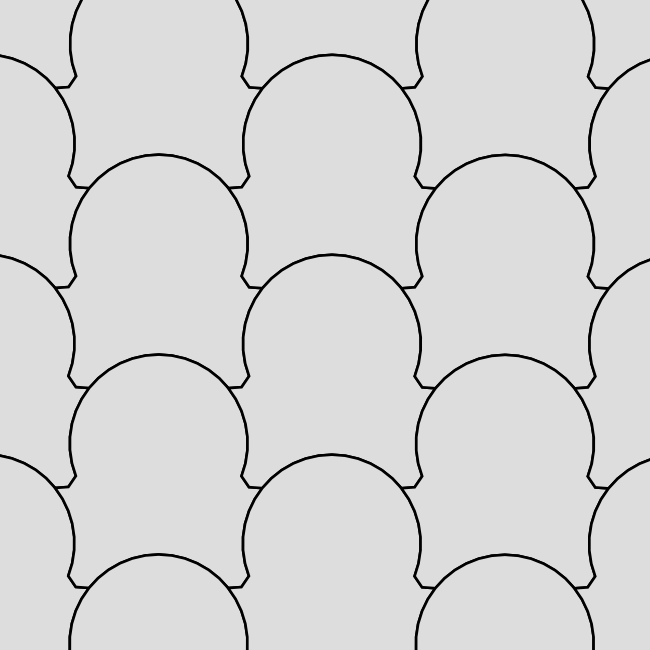 This tiling, sent to me by Robert Fathauer, is made up of two nutshells of alternating heptagons and 42-gons, shown below. 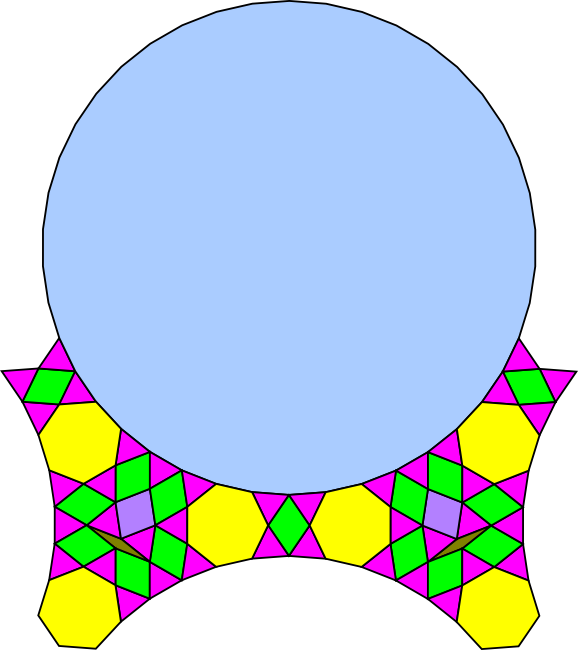 The larger nutshell contains a shield-shaped irregular polygon. Two copies of this shield appear in the translational unit. 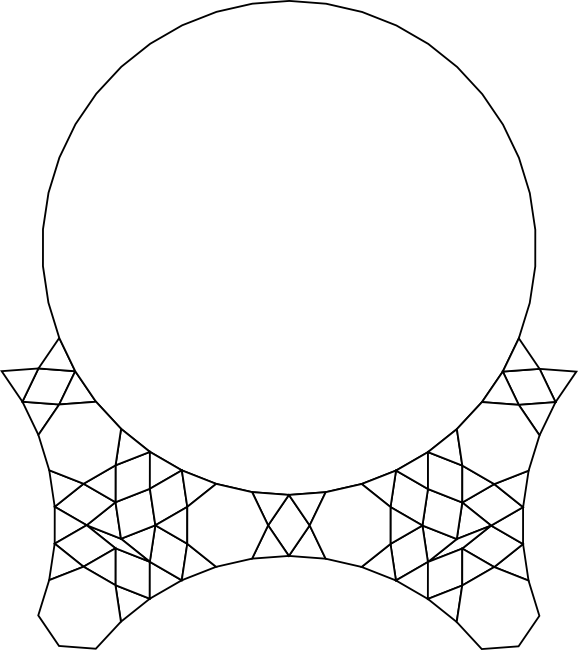 The shield has a remarkable similarity to the "jewel" found in the 3.8.24 Dancer tiling. 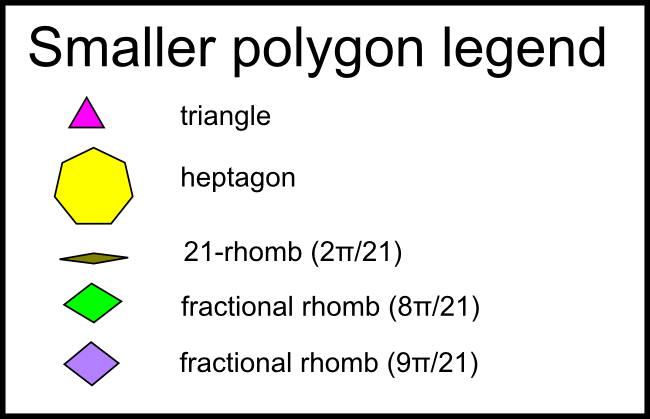 The tiling requires only six prototiles: the 42-gon, the triangle, the heptagon, the 21-rhomb and two fractional rhombs shown in the legend below. 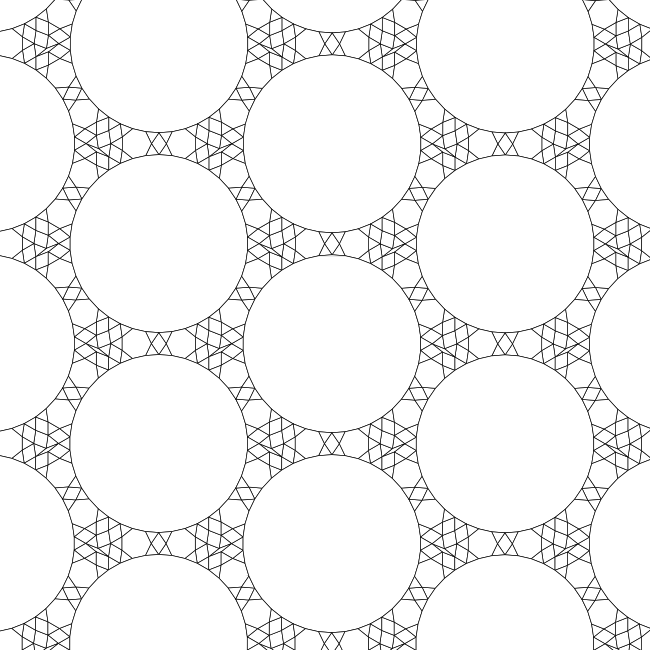 This is three less than the 3.7.42 Mirror tiling shown above.